2) Being stretched and learning how to manage my time and to multi-task with a gazillion things on my to do list. 3) Being stretched to move out of my comfort zone and the life that I was used to a long time ago. All I wanted for Christmas was to sleep for 12 hours straight, with no interruptions. I miss the good old college days where I slept till noon. 4) Being stretched in patience and love. To learn to understand and take care of the little guy and the big guy of the house. Having this little guy taught me a GREAT lesson: to respect & appreciate my husband so much more. Yes.. he is my better half. 5) Learning and stretching my inter-personal skills, being able to quickly understand and figure out what my clients need from me. I won’t lie. I have had my fair share of melt downs, and on occasion I sobbed like a baby for hours. (I blame my messed up hormones after pregnancy! lol) But, there were also many times I felt I had everything under control and gave myself a pat on the back for giving 100%, and doing the best I can. At the end of the day, I learned that I don’t and I can’t have control over everything and I have definitely been stretched to my limits this past year. I know that along the way I may have disappointed people, I’m not saying this to justify my shortcomings, but one thing I learned was how to say “No.” and knowing what I can and can't do. 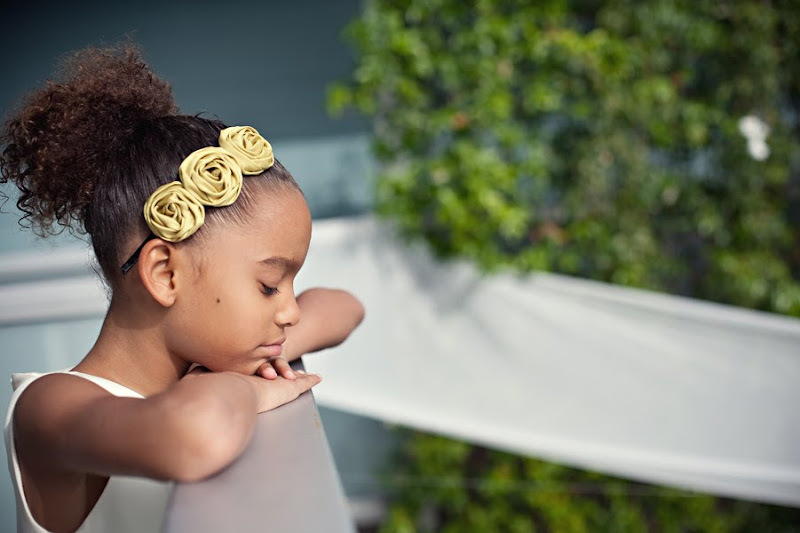 However, saying “No” made me prioritize what's important which I am very grateful. As I welcome 2010, I have decided to go against a tradition of writing down a list of New Year’s resolutions. I feel like a list of resolutions can only prove that you are a good-enough person by keeping to your list, or a failure by not keeping your word. I already have my to-do lists on a daily basis I don’t want yet another list of resolutions to dictate who I am as a person and what I am capable of doing as a person. However, I do want to hold on to this verse and I want it to be a daily reminder to me throughout 2010. 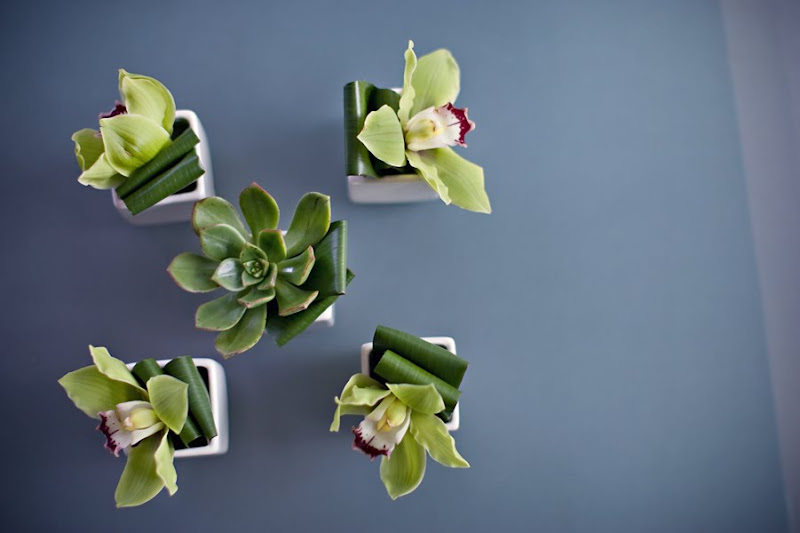 Let's welcome the New Year with gratitude and hope, with a little room to grow. 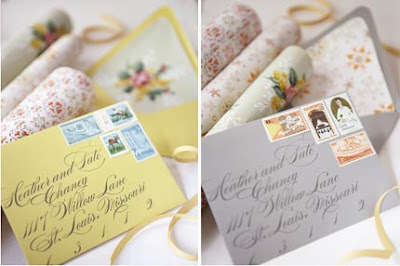 As you may have noticed, our new website & blog for the year of 2010 is finally up! A huge shout out to Ellie over at Rainy Day Templates for being absolutely wonderful to work with. I would highly recommend her to anyone looking to freshen up their site for a very reasonable cost. Thank you Ellie for being so patient, quick, and sweet! Have you also noticed our clean, fresh logo? I cannot thank Yooli Lee Designs enough for her professionalism, talent and going the extra mile to come up with the new logo just in three days. She's also putting together my letterpress business cards & custom envelopes and I am so ready to pass them around!! If you're a small business owner looking for a fresh logo, I would definitely contact her NOW!! Very affordable for the amount of time & effort she puts into her work and I would also highly recommend her to any brides who are looking for custom invitations. I'd also like to thank Christine & Angela, my dear assistants for revising our website content and for their ever-ready assistance. And last but not least, my good friend, Wan for answering all my technical support questions about hosting, email issues & all that stressful stuff I wouldn't want to go near, thank you!!! We also created a Fan Page on Facebook & finally joined Twitter so please follow us around for updates. 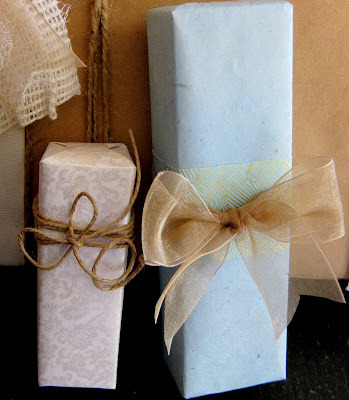 Saw these great gift wrapping ideas over at Style Me Pretty done by Summer at Grey Likes Weddings so I had to give it a try. 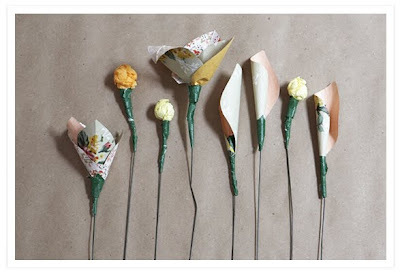 Aren't these too cute for words? 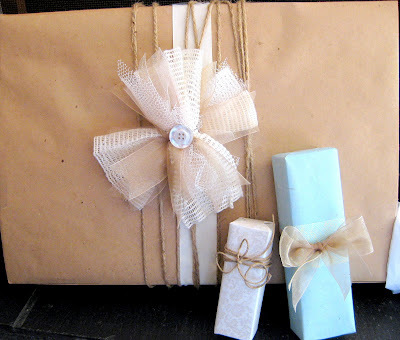 These gift wrapping ideas would be great for any occasions! It seemed fairly easy enough so I hunt down our storage closet like a mad woman to find similar materials and this is what I came up in 15 minutes. Cost? Nothing!! I'm serious... They were all leftovers from past weddings and stuff I collected in years..
No Christmas tree for us this year because we all know this little trouble maker is gonna knock down the tree..
Our last wedding of the year is this weekend and we're ready to kick off 2010 season in full gear in a few weeks! Have a wonderful time with your loved ones and be sure to check out our new look soon. 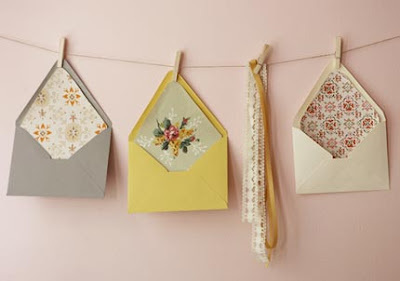 Instead of sending out the usual card in an envelope, the ladies over at 100 Layer Cake did a little project where they used vintage wallpaper to line the inside of envelopes and then used the rest to make flowers to place on the plates as name cards for the reception! 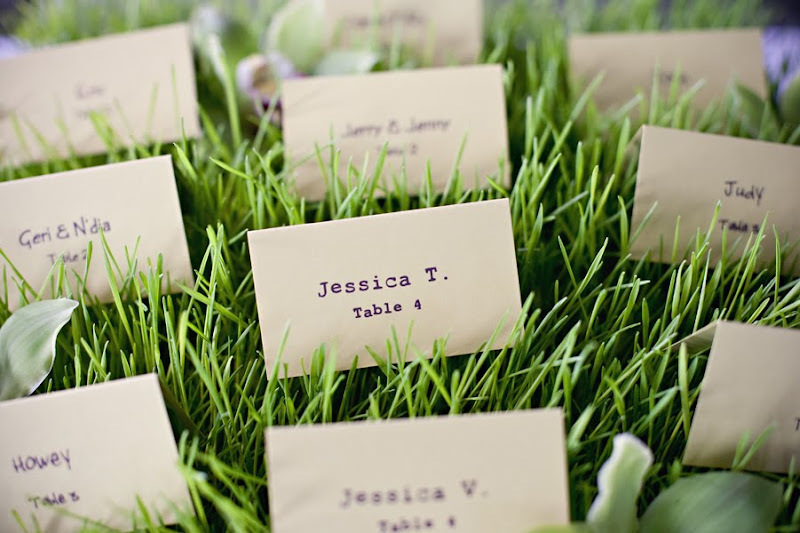 Such an easy way to add a touch of romance into your regular ole' save-the-dates cards and invitations. 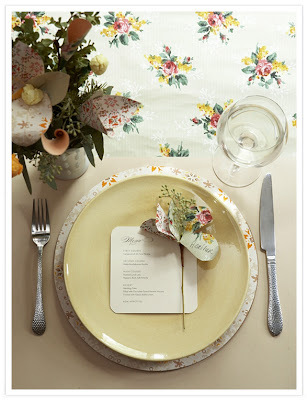 On top of all that, they used vintage wallpapers because it was material they already had in hand. Great tip to save money! 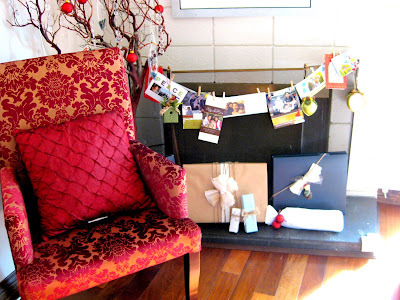 Look around your house and if there's anything lying around that you don't need, use it to get creative with your decorations! Saving money is always a plus. Ahhh... somebody pinch me please! 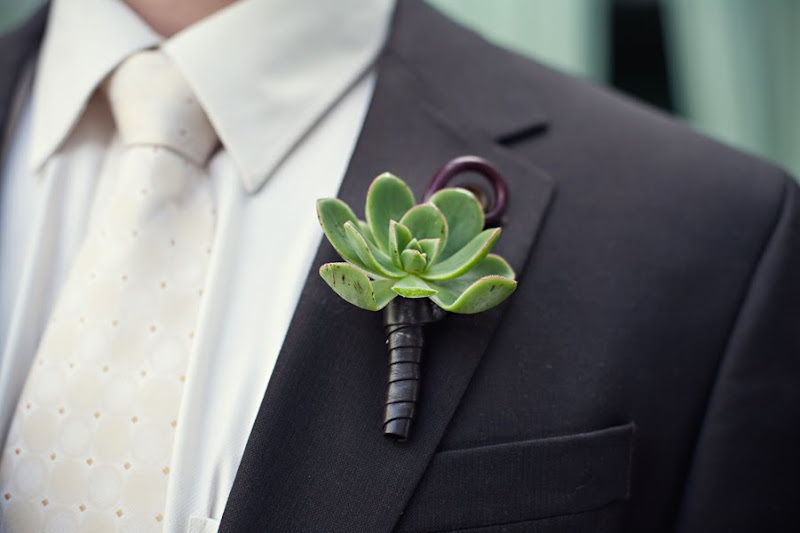 Head over to Style Me Pretty for all the juicy details about the wedding & the incredible vendors and Jessica Claire's blog. 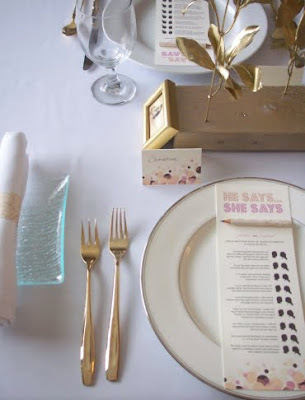 You know those down times when you're at weddings, usually in between the wedding ceremony and the reception, where you awkwardly walk around by yourself or sit down at your table and stare at the silverware? 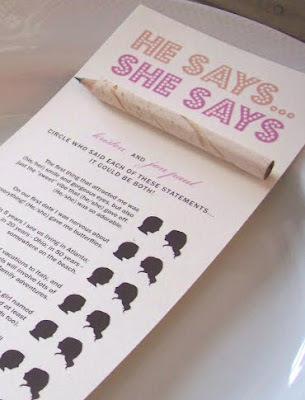 This below is the 'He Said, She Said' game that was actually created for a bridal shower by Laura at Orange Beautiful for her sister. 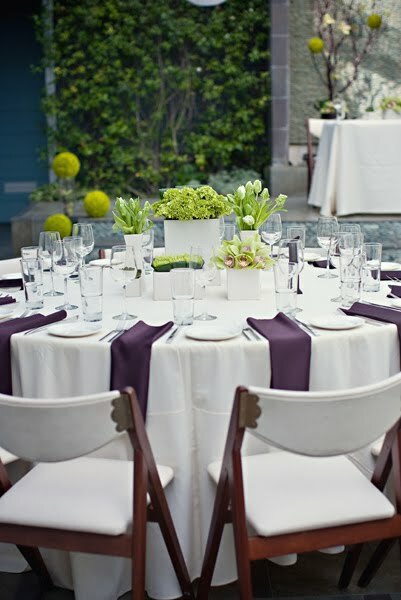 On the piece of paper are questions about the bride and groom and you circle the silhouette to answer who said what. 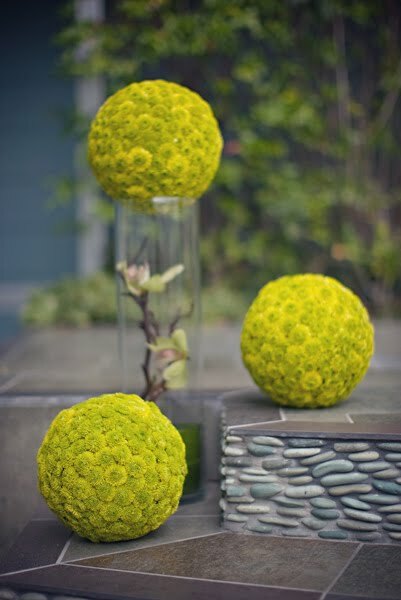 It makes for quite a nice decorative piece and guests will at least have something to fiddle their hands on as they wait! 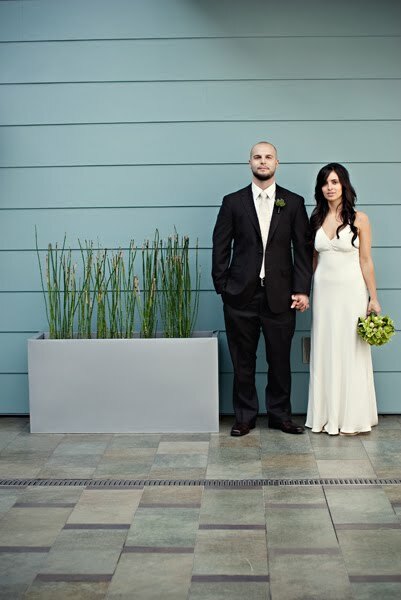 Carissa of JL Designs is simply the best. 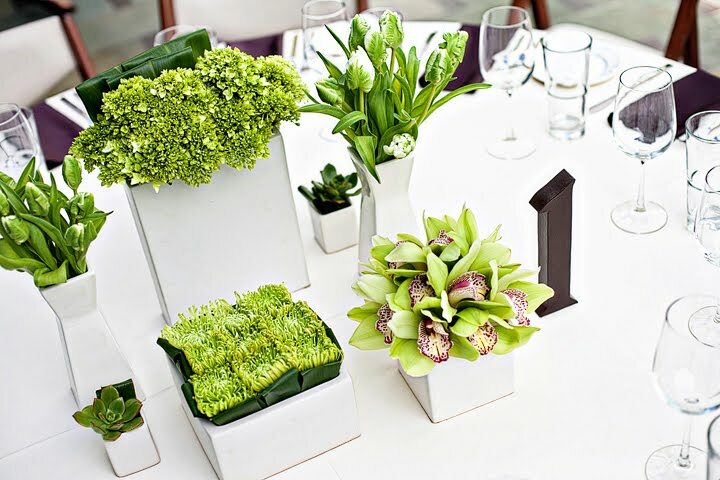 So inspiring, innovative, chic and stylish. Her blog alone has TONS of inspirations and I'm sure you'll be blown away. 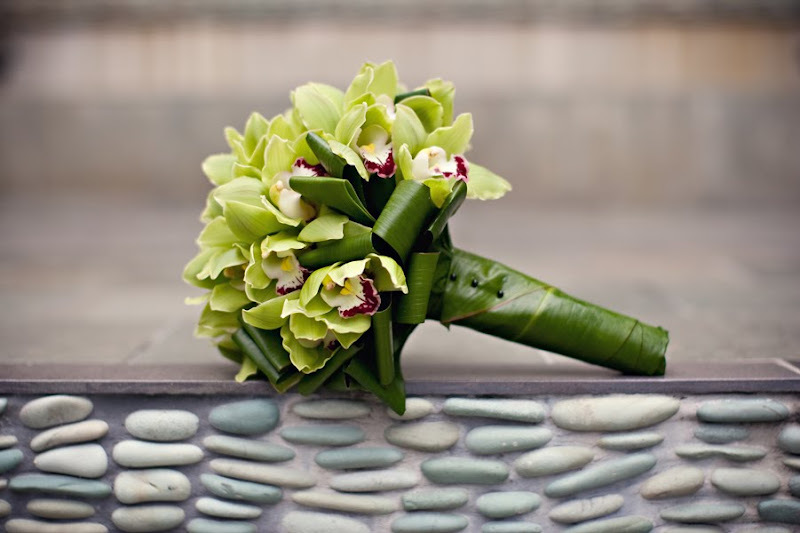 JL DESIGNS, a full-service floral and event design firm specializing in high-end, one of a kind florals for weddings, private social functions, photo shoots and corporate accounts. 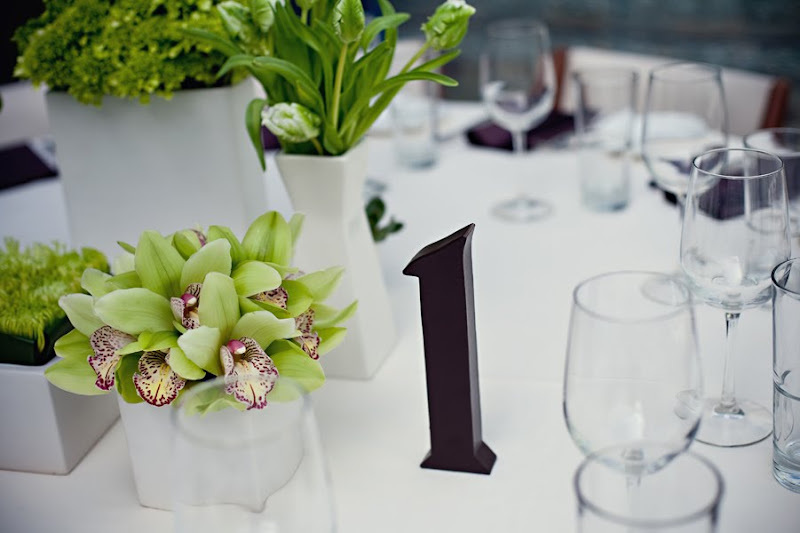 of crafts, DIY projects, event decor and design. Hello My Bride Story blog world! As Esther mention in an earlier post I am one her assistant’s that will periodically be blogging here. Yay! I’m excited to join the blog world, I’ve been an avid follower of a variety of blogs for years, and I’m FINALLY joining in! A brief intro of myself, my name is Christine Lee. I started interning/assisting Esther in 2009. 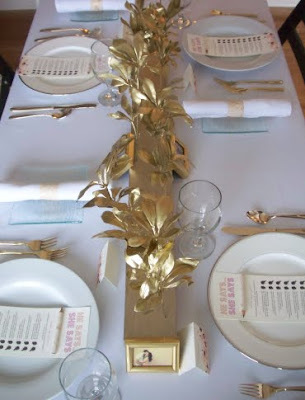 I have always loved working with my hands doing arts and crafts and putting together tablescapes for events here and there as a hobby; but it wasn’t until I started working with Esther that my eyes have been opened to a whole new world of décor and creative ways of using ordinary items to transform things to look extraordinary. Through my entries I hope to share with all of you the different inspirations that I have here and there from different projects that I’m currently working on. 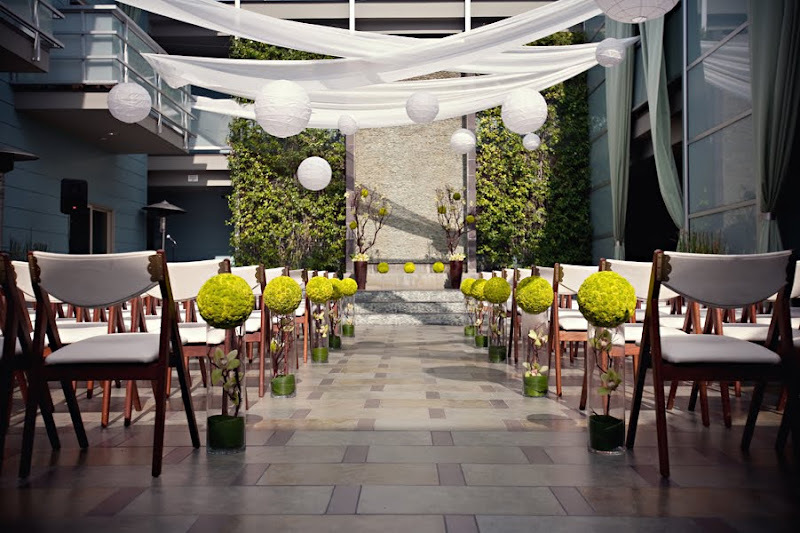 Have you ever wanted to fill some ceiling space over your reception tables, dessert bars, etc. A quick fix to your problem. 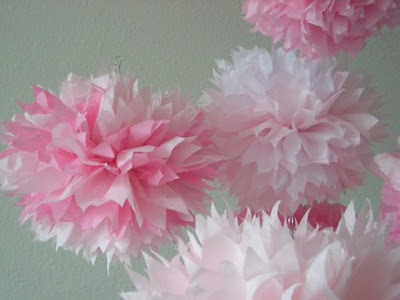 Pom Poms! 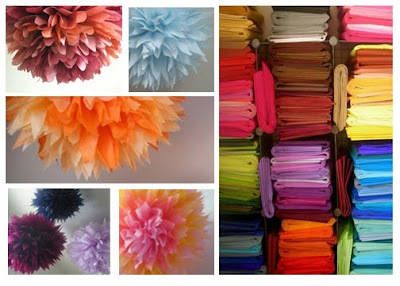 Here are some pictures of how Martha Stewart incorporated her pom poms in with her room décor. 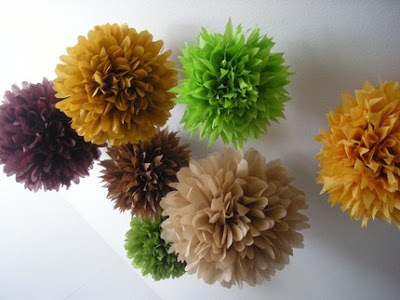 Most of us have seen them at Michaels or Walmart, Martha Stewart sells pre-packaged DIY POM POM packages, but there is definitely a limited selection of colors. 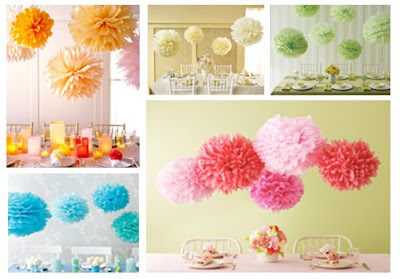 Pom Poms have been around for awhile now but its always great to use old ideas with a twist! 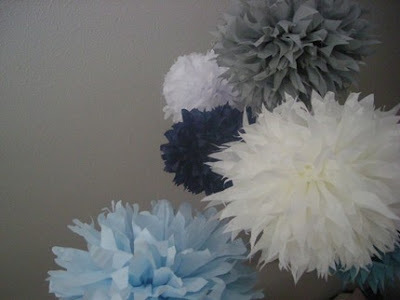 We found this great seller on etsy.com- she creates customizes Pom Poms just for you. 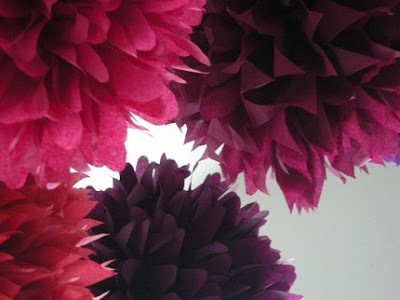 Pom Love definitely brings a fresh new approach to Pom Poms with her different color combinations and designs. Go check out her Etsy shop at Pom Love, I love her color combinations!